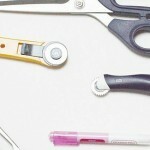 Today we have a guest post from Katie of Running With a Glue Gun! Now that the weather’s getting warmer, all we can think about is summer. Katie will show you how to upgrade your denim shorts and give them a stylish makeover! Read on for the full tutorial, and don’t forget to check out Katie’s blog for more great tutorials. One thing that always made me think that summer had ”officially” started, was the moment when I cut off my jeans and turn them into shorts! I don’t know why, but turning my jeans into shorts became a little tradition that I would always do after that last day of school. Now being older and knowing that pre-made embellished jean shorts can cost a fortune, I like to DIY my jean shorts beyond that initial cut. 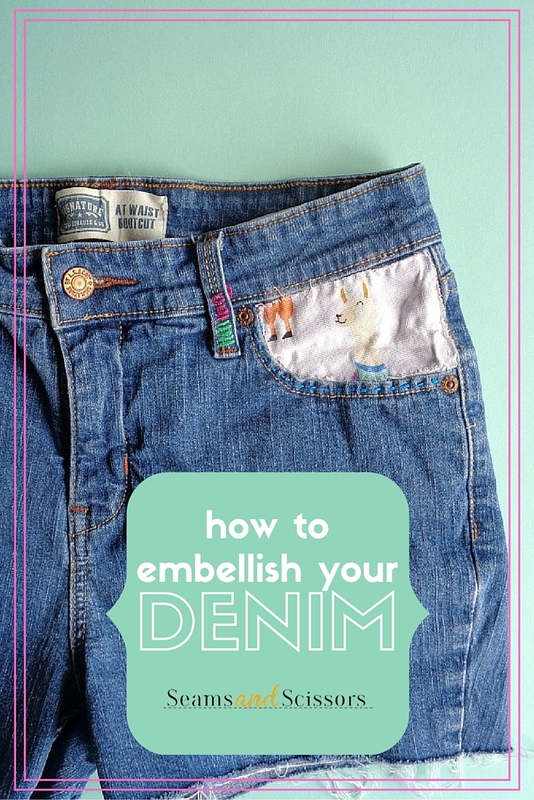 So today I’m going to be showing you how you can decorate those plain jean shorts, in some super simple ways! In this tutorial, I am already working with jean shorts that I have made, so I won’t be showing you that part of the process. 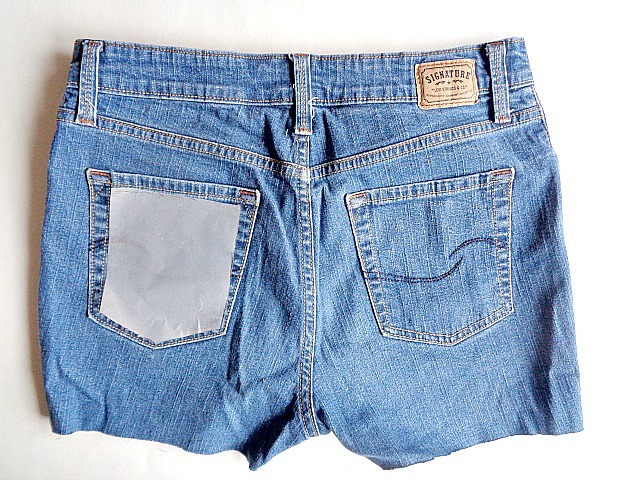 However, you could use a pair of jean shorts that you already have for this tutorial as well. 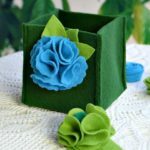 When picking your fabric, choose something that is fun, which will make your jean shorts look more unique. 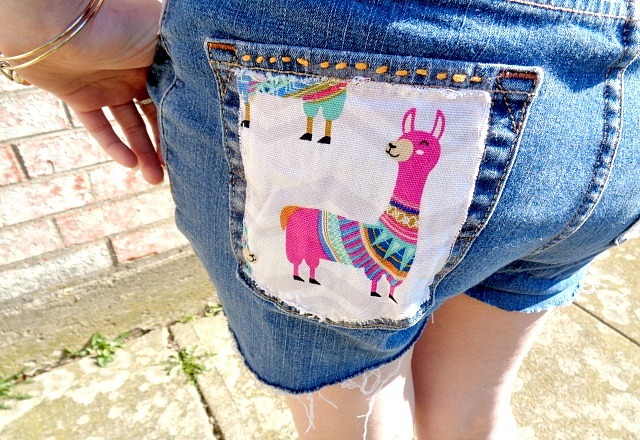 I decided to go with a llama print because who doesn’t want llama shorts? To find out how to turn your plain pair of jean shorts into a fun pair of summer shorts, then check out the full tutorial below! This is a project that is designed to be sewn by hand. 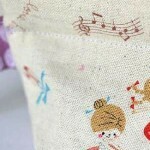 Even though we’re not sewing that much, the sewing that is done would be difficult to complete on the sewing machine. 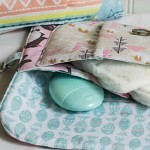 I promise you that the sewing is super easy and is something you can do while watching TV! Step 1: Flip you jean shorts over, so you’re looking at the back pockets. Then grab a piece of tracing paper and lay it on the top of one of your jean pockets. Finally, trace around the pocket onto your tracing paper and cut it out. By doing this, we are creating a perfect pattern, which can be used when cutting out our fabric! Also, you will want to repeat this step, if you plan on adding fabric to the inside of your front pockets as well. Step 2: Take your template and place it on your fabric. Then trace around your template onto your fabric and cut it out. Step 3: Grab some fabric glue and apply a generous amount to your back pocket. 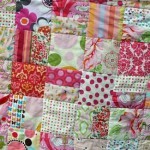 Then, take one of your fabric pieces and press it down into the glue. Keep repeating this step until all your pieces have been glued on. 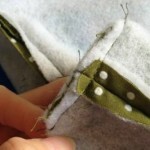 Once all your pieces are dried, go back with a needle and thread and sew down the edges of your fabric. Now, the sewing part is completely optional, but I think it adds extra strength to your fabric. 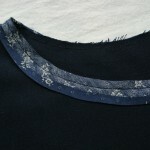 However, if you’re satisfied with your fabric glue, you can move right on to the next step. 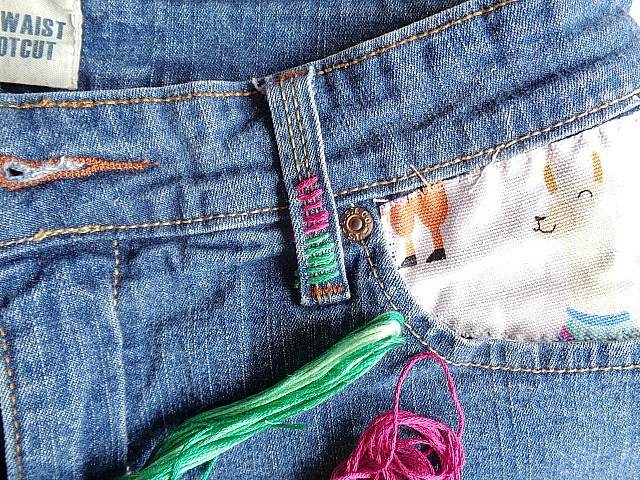 Step 4: Thread a needle with some embroidery thread and sew little stitches in the belt loops of your jean shorts. In this case, I decided to sew five stitches of one color, then five stitches of another color. I then decided to only sew up half away when adding these stitches to my belt loops. 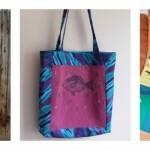 Again, while completing this step, you can sew as little or as much as you want. 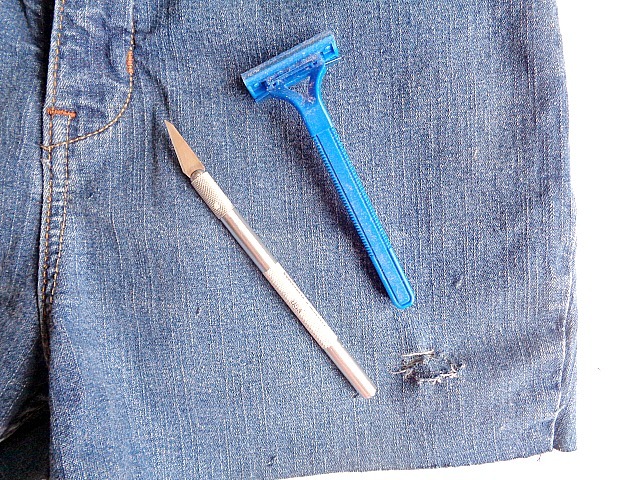 Step 5: Grab your craft knife or razor and begin distressing your jean shorts. You can do this by either running your craft knife across your jean shorts to pull up threads or by taking your razor and running it across the bottom of your jean shorts to pull out threads. Keep distressing your jeans using these methods until you’re happy with the overall look. When you are finally happy with the finished look, you can start wearing your jean shorts! Aren’t those llamas so cute! One last quick tip that I have is to ”study” your fabric before you add it to your jean shorts. This is because you could cut out a certain area of the fabric or come up with a creative idea that could really make your jean shorts look awesome. 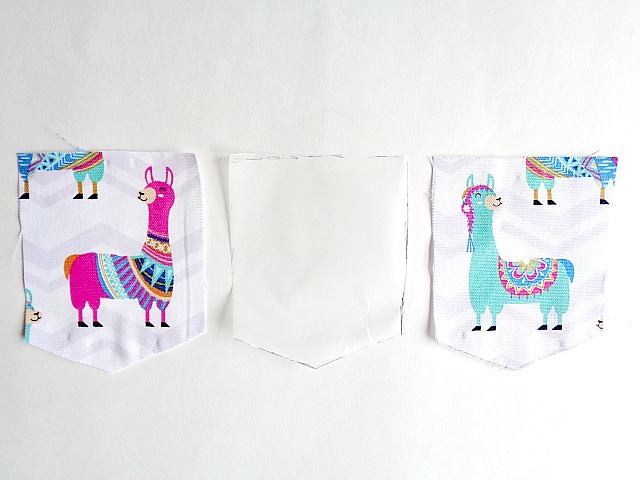 In this case, I thought it would be cute to have a llama sticking his head out of my front pocket (refer to Step 4’s photo)! 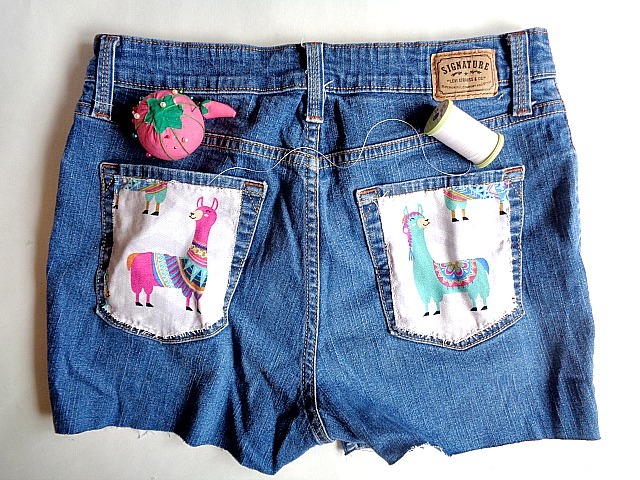 I mean who wouldn’t want to have a llama in their pocket? If you were decorating your jeans shorts, what type of pattern fabric would you use?